Where is the sender ? Front of engine or rear ? Left or right side ? I know to ground the wire to test the gauge.. Just don't know where the sender is located on the engine..
More than likely you will find the sender for the gauge on the water/oil pump at the front of the engine. The sensor closest to the block will be for the oil pressure lamp, the other one, farthest from the block will be for the coolant gauge. John - if you put your model and year in your signature, it's easier for people to answer questions about your bike. 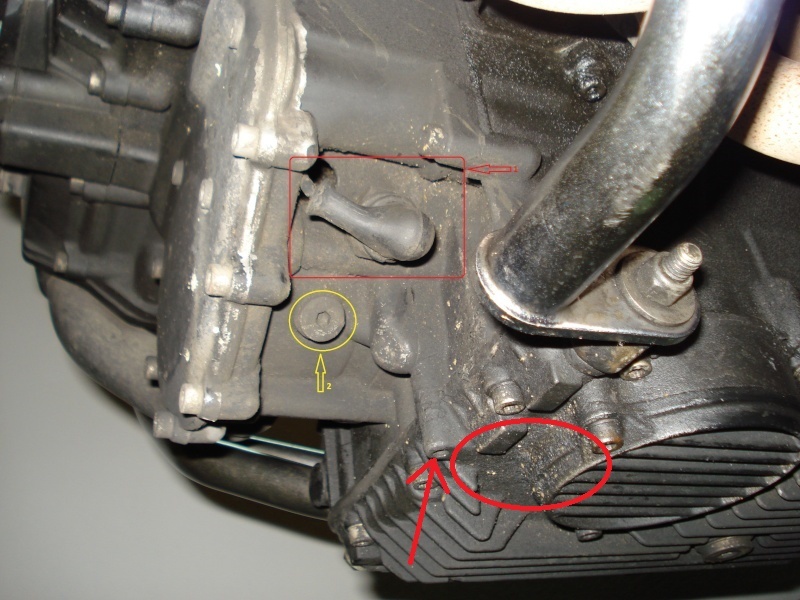 The sender is on the middle front bottom of the engine at the bottom of the water/oil pump. This picture is from a K without the sensor but the yellow circle around the plug is where the temp sensor is. Yes, if you ground the lead it should peg the temp gauge needle.